Nevermind ‘preme, what about BAPE, HUMAN MADE, Cav Empt and FPAR? With the recent news of Supreme’s unexpected collaboration alongside the New York City MTA, buzz quickly spread with crowds of the brand’s faithful followers storming subway stations in the hopes of scoring their very own branded MetroCard. Though many left empty handed, its value on the open market quickly skyrocketed with some fetching price tags 30x higher than its original price. In light of the mad hysteria these collaborative cards have brought on, we thought to take an exploratory look at some other noteworthy streetwear x transportation card releases. Throwing it back to 2007, BAPE’s Hong Kong Division dropped an exclusive card/accessory holder combo adorned with the brand’s signature camo print design. Considered an everyday essential to any local resident, these prepaid Octopus cards not only help with subway travel but can even be used as a method of payment at participating convenience stores. 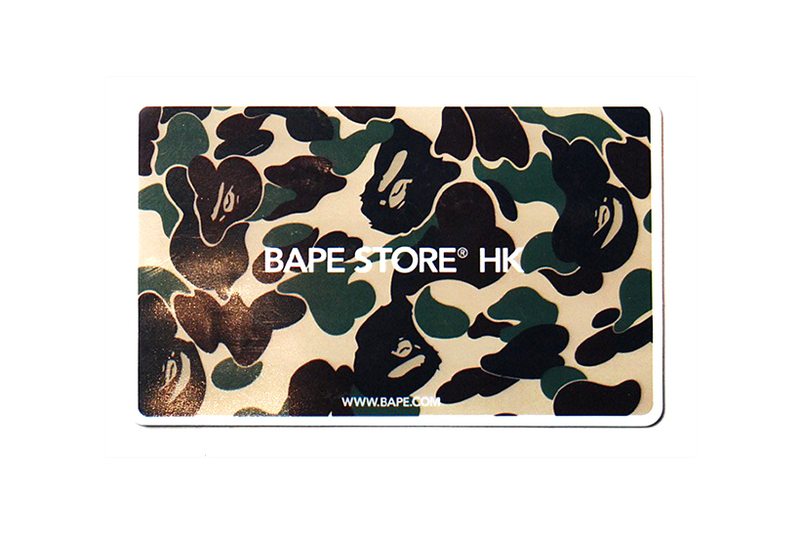 In May of 2009, BAPE and Octopus again joined forces to release another version of Hong Kong’s famed cross-functional card. Rocking a similar design aesthetic to that of its earlier release, this one however, featured a vibrant multi-colored camo print. For those interested, this colorful Octopus card can be found now on ebay at a prices as high as $480 USD. Nigo and Sk8thing’s Human Made imprint also ventured into public transportation card design with these branded sticker appliqués. Artistically enhancing Japanese IC Cards, these practical tools can be used for public transportation fare, as well as payment at select vending machines, shops and restaurants. Currently sold out, no other information has been made available regarding restock. Playfully poking fun at this whole transit card design movement, is Japanese-based streetwear label FORTY PERCENTS AGAINST RIGHTS with these IC Card stickers. Offered in both black and white iterations, each sticker features the phrase, “THIS CARD IS FAKE” and was made to coincide with both Suica and PASMO cards. These themed stickers are going now for $4.80 USD. Yet another Japanese-based streetwear imprint offering up its very own creative take on the IC Card design is Cav Empt. As was recently teased via Instagram, the ghoulish design will be made available on February 24 through the purchase of PRODISM’s upcoming magazine release for a price of $8.90 USD. Demna Gvasalia’s latest bazaar-themed accesory. Includes a look into the designer’s life. The founder of Studio Institute. His album ‘Drunk’ drops tomorrow.